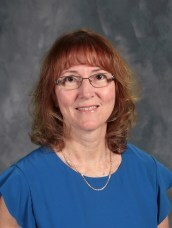 Leigh Anne Cutrell has been with Westside Catholic School for 30+ years. She spent 17 delightful years teaching first grade where she truly loved working with excited young students as they developed into readers and problem solvers. After a maternity leave, Leigh Anne returned and found a new love teaching and enriching the lives of fifth grade students as they prepared for junior high. She is currently enjoying her role as our fourth grade teacher. Leigh Anne holds a B.S. in Education from the University of Southern Indiana and a Masters in Education from Indiana State University. She enjoys attending various training opportunities to keep up to date in teaching practices. Mrs. Cutrell feels blessed to be part of the WCS family where teachers and families work together to provide an excellent education for all students. Leigh Anne lives in Evansville with her husband, Ernie, and their two sons. In their free time, they enjoy traveling, spending time outdoors, sporting events, and Colts football.